The Cheltenham Festival is one of the most thrilling events in all of horse racing. The four-day racing event features the crème de la crème of Irish and British jumps (national hunt) racing. To watch the Cheltenham races is to witness history. This was the home turf of Golden Miller, Arkle and Kauto Star. More recently, it is the place where Annie Power, Faugheen and Sprinter Sacre cemented their own places in horse racing legend. The 2017 Cheltenham Festival starts on Tuesday 14th March and ends on Friday 18th March. The Festival, officially named the National Hunt Meeting, features 28 races across the four days. 14 of these races are Grade 1, which means they are open to only the most elite horses. Think of Cheltenham as the Champions League of horse racing, where only the best runners, riders and trainers will make the grade. The crowd play their part too in this drama. The Festival opens with the famous ‘Cheltenham Roar’, a huge bellow from the 1000s of racegoers to open one of the greatest shows on earth. Millions of punters across the UK and Ireland will have a bet on the Cheltenham Festival throughout the week. Put simply, it is one of the greatest sporting events of the year. Each day at the Cheltenham Festival is a spectacle in its own right. Day 1 (14th March), Champion Hurdle Day, boasts several top races. It starts with the Supreme Novices’ Hurdle (1.30pm), which gets the biggest cheer from the crowd as the Festival gets underway. The highlight of the day is undoubtedly the Champion Hurdle (3.30pm) – the most prestigious hurdle event in all of horse racing. Annie Power triumphed in the 2016 running, blitzing the field in a thrilling race. Star hurdlers like Yanworth, Buveur D’air and Yorkhill are sure to feature prominently in the 2017 Champion Hurdle Day betting odds. Day 2 (15th March), Ladies Day is as famous for fashion as it is for thrilling action on the track. Ladies Day features four Grade 1 races, including the Neptune Investment Management Hurdle (1.30pm). The marquee race is the Queen Mother Champion Chase (3.30pm), won by the great Sprinter Sacre in 2016. ‘Sprinter’ has since retired to stud, but there will be plenty of top class chasers ready to take his crown in 2017. St Patrick’s Thursday (16th March) is Day 3 of the Cheltenham Festival. It is named for the Irish connections to the event. It features the World Hurdle (3.30pm), one of the most popular races in terms of Cheltenham betting. It was won in 2016 Thistlecrack, who has since switched to chasing and should feature in the 2017 Gold Cup. Other important races on St Patrick’s Thursday include the Ryanair Chase (2.50pm) and Golden Miller Novices’ Chase (1.30pm). Day 4 (17th March), Gold Cup Day, is perhaps the most exciting of all days at the Cheltenham races. It of course features the Cheltenham Gold Cup (3.30pm), one of the most prestigious races in the world. The 2016 Gold Cup winner was Don Cossack, who beat off stiff competition from Djakadam and Don Poli. With the likes of Thistlecrack, Native River and Cue Card ready to join the action, this year’s Gold Cup should be one of the highlights of Cheltenham betting 2017. Other top races on Gold Cup Day include the JCB Triumph Hurdle and Albert Bartlett Novices’ Hurdle. 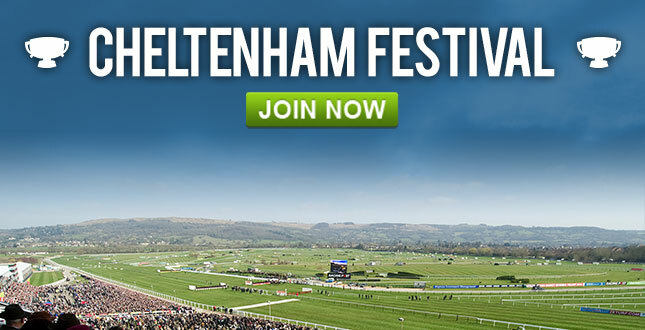 Don’t forget, you can bet on the Gold Cup and all other Cheltenham races online at William Hill right now!